Music: James Taylor, Sweet Baby James – The album that put him in the spotlight with the amazing song Fire and Rain. Menu: I CANNOT have Caesar without garlic bread. Usually, I’m not an ingredient snob. Like when it mentions, a high quality EVOO, psssht, I just use my regular stuff. Or cheese…cheapest always wins my heart! 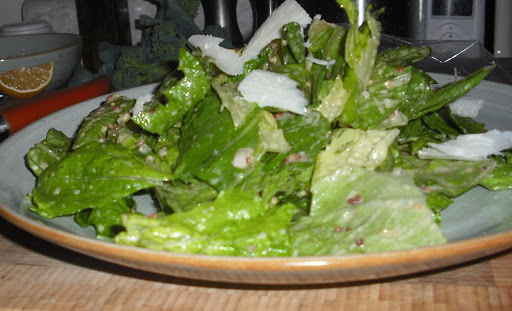 However, I will tell you I am a snob about my caesar salad. 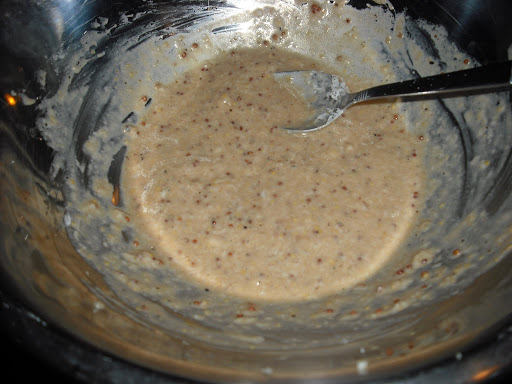 I’ve had to make it with other ingredients before and still tastes good and everything, but the greatness of this recipe is unachievable without a quality anchovy paste and whole grain mustard. These are my go to brands and they truly make the dressing (with lots of garlic, of course). This recipe was my mom’s and most families have some variation of this recipe. I truly thought it was my mom’s super secret recipe for a long time. I think I was in high school and told a friend that I wanted to make her my mom’s super secret caesar salad and her response was, “you mean with worcestershire?” And I was like, “damn!”. But that’s when I found out that my mom’s recipe wasn’t so secret. Over the years I have slightly changed the recipe. Instead of a raw egg, I now use some plain non fat yogurt…yes, my stomach is a weak pathetic excuse of a stomach. I have also added a good splash of tabasco, which I learned from a restaurant I used to work at. Both are great additions to any caesar salad. 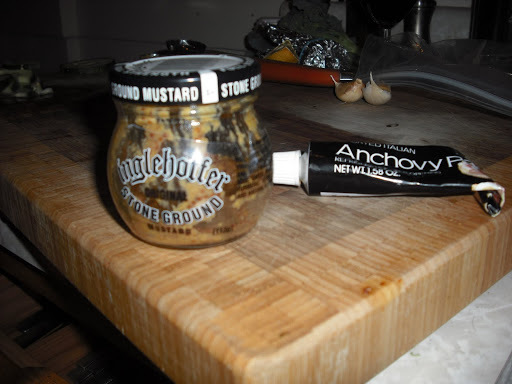 So, as you can see from the pics above, one of the most important steps is smushing the mustard grains. I use the back of a spoon and it works great. 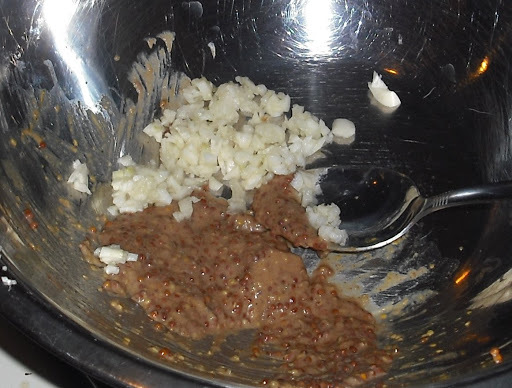 Then I make a paste with the anchovy paste and garlic. I usually crush the garlic too with the spoon. 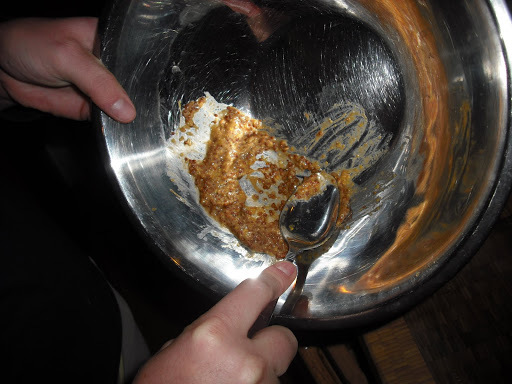 The paste is then combined with all the other wet ingredients. I always taste the dressing BEFORE adding parm. There’s a much better chance to reseasoning before the cheese goes in and it gets all cheesy, but remember light on the salt as parm is a pretty salty cheese. And the parm slices just add a nice touch! 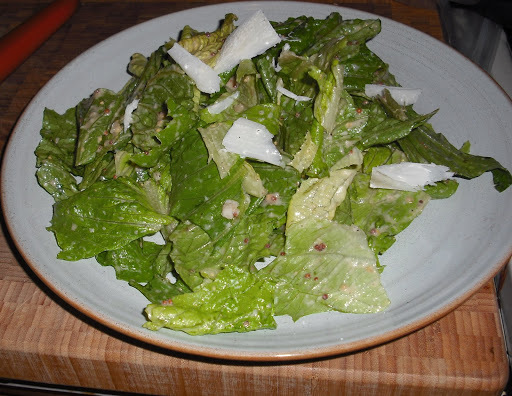 Hope you enjoy this recipe, but let me know how you make your favorite caesar dressing! Using the back of a spoon, crush the mustard grains, so they pop (you can hear them). Add the anchovy paste and garlic. If the garlic is not finely minced, you can use the same technique as the mustard and help crush the garlic even more. Stir mustard, paste, and garlic to form a paste. Add worcestershire, vinegar, S & P, tabasco, and yogurt to paste. Stir until well combined. TASTE – if the dressing is too sour, try adding a little more yogurt. If it’s too bland, try some more vinegar or worcestershire. The more you make the dressing, the easier it is to identify what is off. Add dressing to lettuce and toss to combine. Top with shaving and devour. This entry was posted in salad by callywoodfarms. Bookmark the permalink.